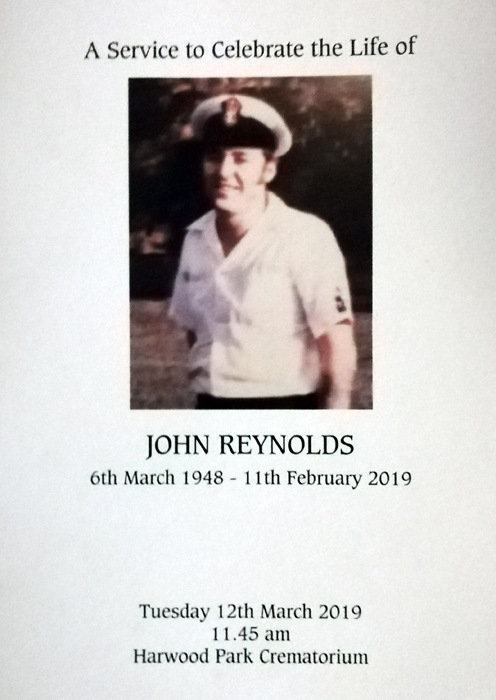 Shipmate Barry Adams of Welwyn Garden City Branch, Royal Naval Association, has passed the sad news that shipmate John Reynolds has Crossed the Bar on the 11th February 2019. SM John was a Life Members of the WGC Club and had been a loyal member for over 45 years. Over his time, he had undertaken many duties including 10 years as Chairman until stepping down due to ill health. 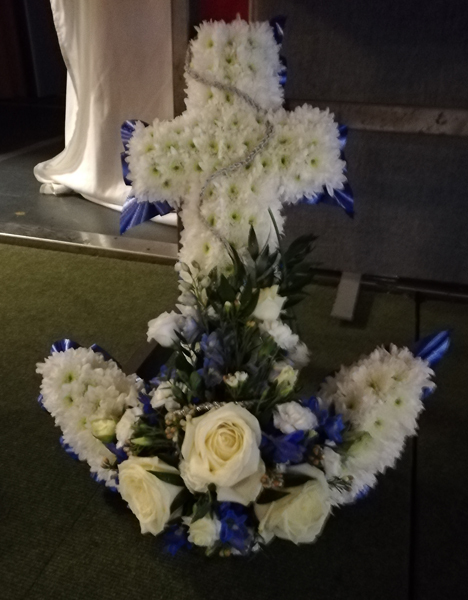 John’s funeral took place on the 12th March 2019 at Harwood Park Crematorium. S/M Dave Corrigan paraded the Area Standard and he was joined by Standard bearers from other branches in the local area. 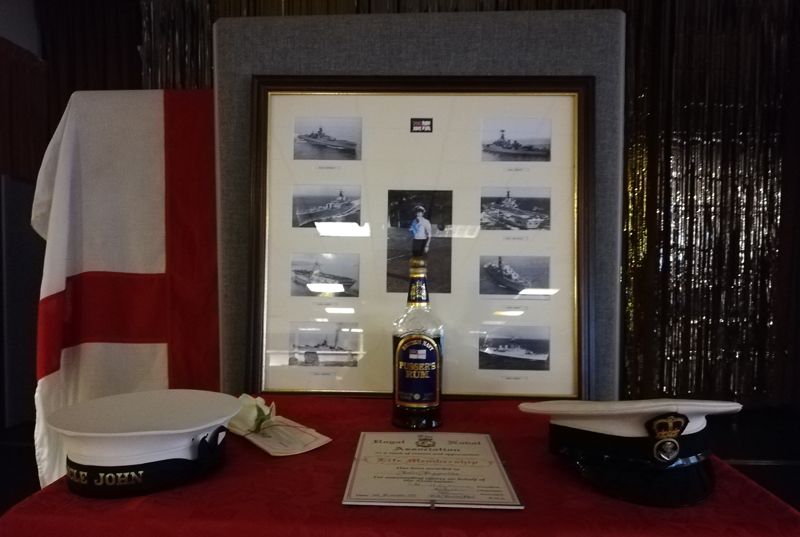 The service and reception afterwards were very well attended – a tribute to John and the impact he had made on his family, friends, shipmates and for the RNA overall. John served in the Royal Navy as a PO Mechanic, he was a proud family man and very passionate about supporting them and the Royal Naval Association. John will be missed by all who knew him, the branch and association send their condolences to our shipmate’s family and friends, RIP John.